Home » culture » history » opinion » Make no mistake, Race is still a real problem in the U.S.
Make no mistake, Race is still a real problem in the U.S. I identify myself as African American. In the past I've also written articles highlighting individuals of African descent that live in Canada and Cuba. As a member of the African Diaspora, I understand how race plays a part in many of our lives. I've always been disturbed by the psychology of racism, which seems to pervert the minds of both the oppressors and the oppressed. In the U.S. blacks were systematically denied the rights of citizenship throughout the South for decades, and the barriers to success for even the best and brightest are to this day very real in America even as the nation is led by an African American President. Racism has also done huge damage within the black community-just look at the self-hatred evident in individuals living in Africa that attempt to lighten their skin in order to increase their chances of perceived success. One retired American baseball player, Sammy Sosa, completely changed his complexion after career tainted by scandals involving steroid abuse, and everyone around the world remembers the story of Michael Jackson. Whether you look in America, Europe, the Middle East, Africa, or Asia, the notion of some sort of implicit (or explicit) race-based hierarchy seems to permeate society on some level. Why, centuries after the slave trade ended and decades after civil rights reforms in the U.S., do we still have to contend with these problems? I write this because of the controversy that erupted in the U.S. recently. A billionaire owner of a professional basketball team was recently banned for life from the NBA, including the franchise that he owns. Donald Sterling made some truly incendiary comments about race that he might or might not regret. He was secretly taped telling his girlfriend, among many other things, that he did not appreciate her taking pictures with black people and placing them on her Instagram account. One of the people she took a picture with was Magic Johnson. For those readers who might not know, he is a legend in the National Basketball Association and a part owner of a professional baseball team. One particularly vexing concern that I've had about this man's comments is that he is in fact Jewish - he legally changed his name from Tokowitz to something he felt would make him seem more 'successful'. The Jewish Holocaust is a major tragedy in human history, whose horrific lessons are still fresh in the public consciousness. While not on the immediate scale of the horror we suffered during the slave trade era, the holocaust and the general discrimination against Jews in almost every European Nation should give any concerned individual a reason to pause and consider the nature of mans inhumanity towards his fellow man. Why would someone who's people suffered through being burned alive in ovens hate any other race or nationality in such a manner? Sterling objected to the comparison between his views and the Holocaust, but just how he could miss the obvious parallels is a disturbing mystery. Another odd twist to the downfall of Donald Sterling is that his girlfriend identified herself as half Black and half Mexican. She was born with the Hispanic surname Perez, but changed her name to V. Stiviano in order to lessen the stigma of her race. In spite of Mr. Sterling's hatred toward people of color, he gave this woman cars, houses and boat loads of cash. It was only when his wife sued her that things seem to have began to fall apart. After the National Basketball Association banned Mr. Sterling for life from his team, she will probably feel the pain of her life of luxury being cut short. She might be lucky enough to find another sugar daddy. Quoted as being worth more than $1.6 Billion, and being over 80 years of age, Mr. Sterling will not suffer too much financially for his expressed hatred of black people. 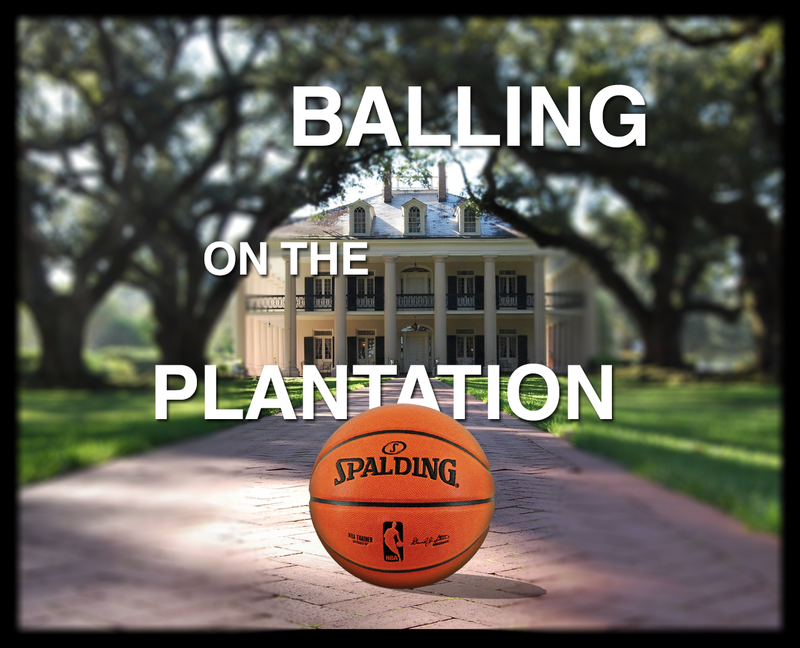 His statements that he 'gave' his players clothes, food and cars hearkened back to the days of the old plantation owner who felt entitled to respect for maintaining the human chattel used for free labor. These pro athletes, like those anywhere in the world, had to earn everything that they received for their effort. The fact that most of his players are African American makes his disdain even more alarming. Sterling would likely receive almost $800 million dollars if he is forced to sell his team. With that kind of wealth, why hate anyone at all? The problem of race and the color line is still evident in the U.S.